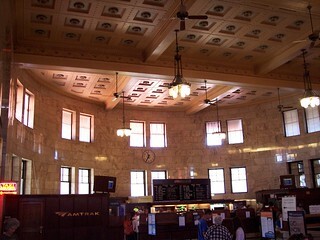 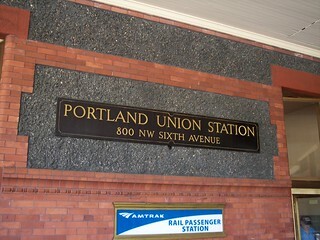 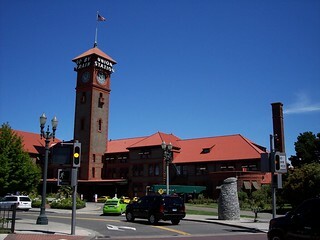 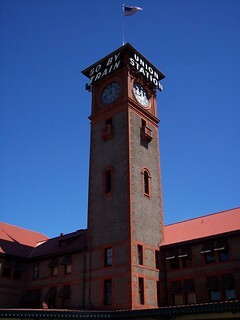 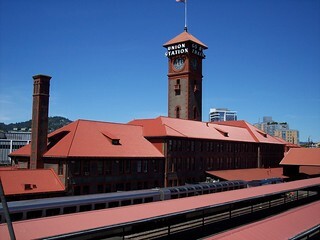 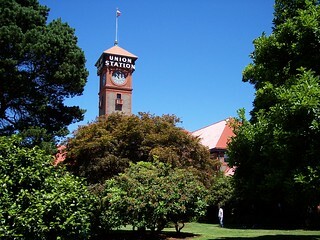 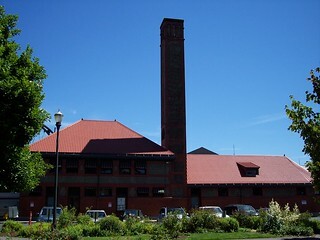 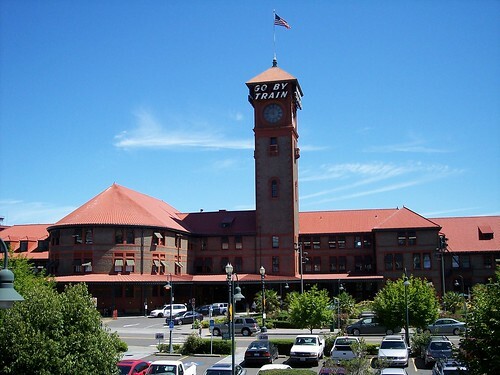 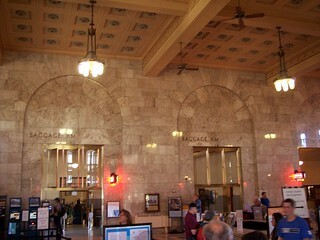 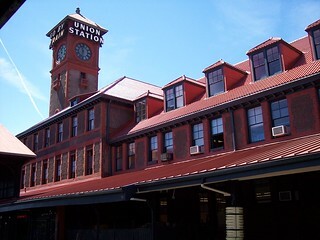 The Portland Union Station reminds us to "Go By Train". 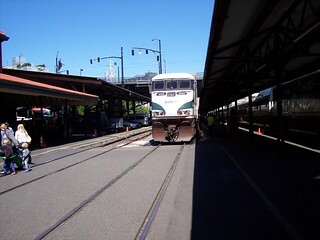 Our Empire Builder train can be seen waiting to depart. 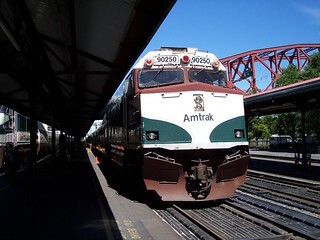 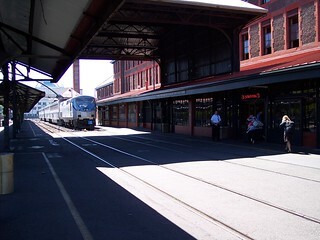 The platforms held two Amtrak Cascades trains and the Empire Builder when we arrived. 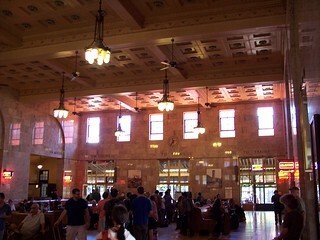 Inside the main waiting room. 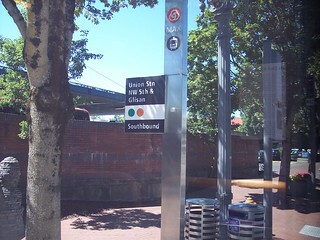 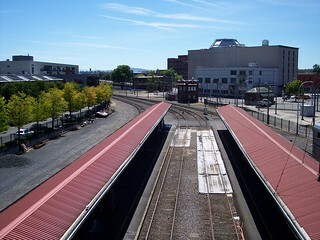 The nearby MAX Light Rail stop at NW 5th & Glisan.